A couple of months ago Brian and I did a mobile show on video live from IDF where we discussed a lot of what was going on in mobile at the time. Intel was a huge help to us back then by providing support in the filming and production of the whole thing. It went over so well that Intel offered to help us out at CES this year to do the very same. 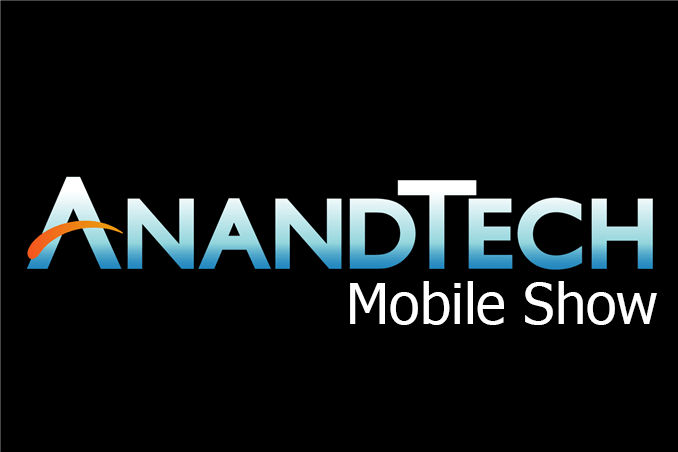 This evening (at 6PM PT) Brian and I will be at Intel's booth at the Las Vegas Convention Center (Central Hall, Booth #7252) filming the second on-location AnandTech Mobile Show. We'll be discussing all of the mobile announcements at CES thus far, including the Tegra K1 that was just announced earlier this week. If you're at CES, feel free to drop by Intel's booth to check out the show as it's being filmed. We'll post the show to our YouTube channel immediately afterwards so look for it tomorrow evening. Update: It looks like we may get Intel's Hermann Eul (VP and GM of the Mobile & Comms group) to stop by for a candid interview on the show. This is going to be an exciting one. If there's anything you guys want us to discuss on the show let us know in the comments! Update 2: Sorry for the delay, bandwidth is a little limited here at CES and we're trying to get the video uploaded asap! Update 3: The CES 2014 Mobile Show has been published here. It has also been published as a podcast for our mobile listeners, and as avaiable via our regular podcast feeds. Are you saying Anandtech gets paid by Intel to talk only about Intel? I generally hate jumping on bandwagons but I agree, audio version is preferable.